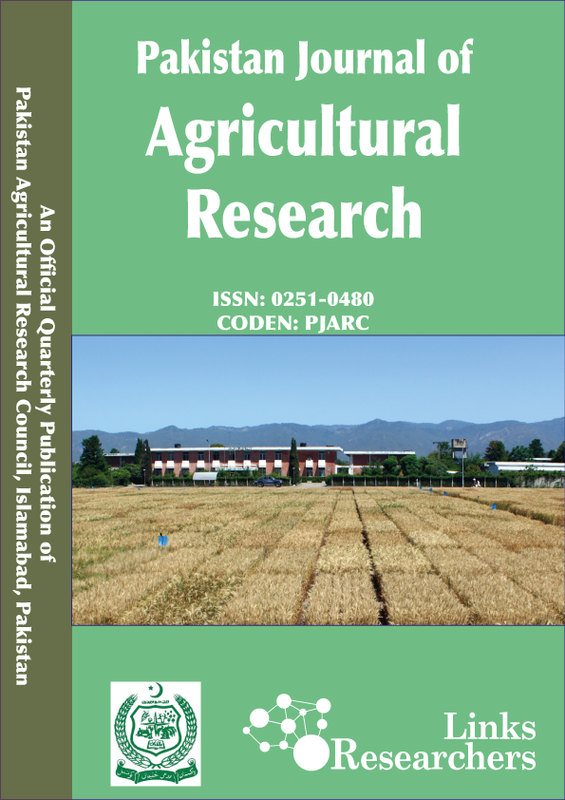 Environmental mycology and ecotoxicology lab, Department of Environmental Science, Fatima Jinnah Women University, Rawalpindi, Pakistan. Sampled groups of Citrus raticulata. Pure fungal cultures. 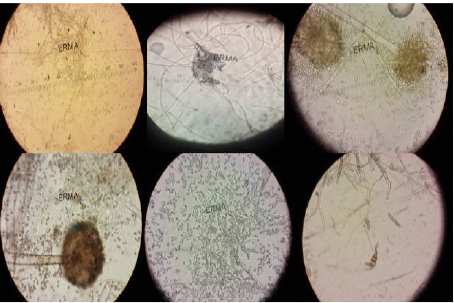 From top left to right: Lasiodiplodia theobromae, Penicillium sp., Aspergillus flavus, Aspergillus niger, Fusarium sp., Alternaria sp. Fungal spores under microscope. 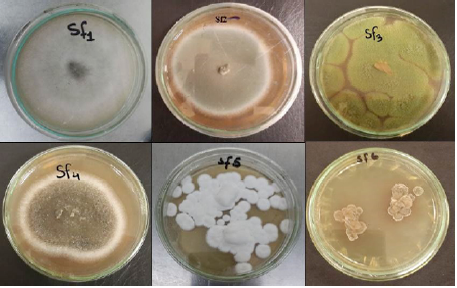 From top left to right: Lasiodiplodia theobromae, Penicillium sp., Aspergillus flavus, Aspergillus niger, Fusarium sp., Alternaria sp. 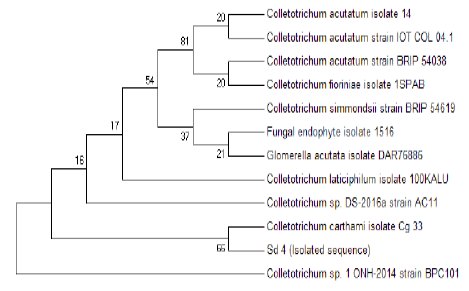 Neighbour-joining dendrogram showing phylogenetic relationships of isolated DNA sample Sd2 with predicted species. 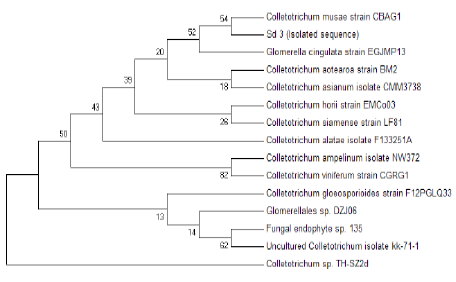 Neighbour-joining dendrogram showing phylogenetic relationships of isolated DNA sample Sd3 with predicted species. 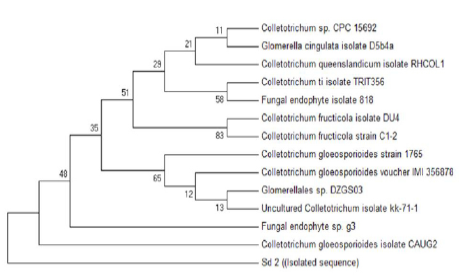 Neighbour-joining dendrogram showing phylogenetic relationships of isolated DNA sample Sd4 with predicted species.